The CEO of Ras Al Khaimah Tourism Development Authority (RAKTDA), Haitham Mattar, has been appointed as the Middle East representative for the United Nations World Tourism Organisation affiliate members board. 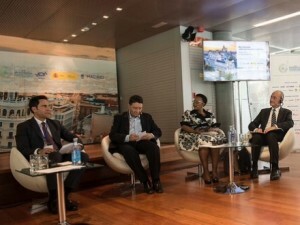 Mattar has also been named a full-time advisory board member of the Global Thinkers Forum (GTF), an international platform that brings together a diverse network of thought leaders to share their vision for the future, create meaningful conversations around them and effect positive change in the world. “While I am personally humbled by these dual board member appointments, my strategic objective now is to leverage them to raise the profile of Ras Al Khaimah and highlight our sustainable tourism work and progress initiatives that we are championing to influence global audiences. These board appointments will increase our collective capacity to underline our tremendous destination performance across all tourism and hospitality products, as well as highlight the abundant investment and partnership opportunities available in the emirate,” he added. Ras Al Khaimah Tourism Development Authority (RAKTDA), which develops the emirate’s tourism infrastructure and initiates its domestic and overseas promotions, has revealed Ras Al Khaimah’s hotels have reported a 10 per cent year-on-year increase in international guest arrivals during the first six months of the year. Also, the average hotel occupancy in H1 saw a 4.7 per cent year-on-year increase in comparison to the corresponding six-month period in 2016, jumping to 72.7 per cent. With RAK targeting 900,000 visitor arrivals during 2017, it has already recorded 390,499 guest arrivals between January and June, which is a year-on-year increase of 6.5 per cent in comparison to H1 arrivals last year. Haitham Mattar, CEO of RAKTDA, says, “While our excellent H1 results highlight continued year-on-year growth in Ras Al Khaimah’s visitor numbers, it is the Ramadan and June results that are particularly promising,” said Mattar. 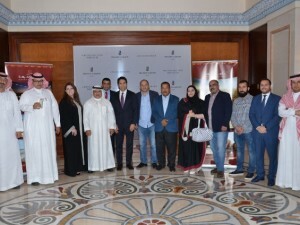 “Our best-ever figures during these typically lower periods of occupancy are a direct result of strategic initiatives and promotional activities undertaken in domestic and international source markets.” The successful Ramadan and June figures follow RAKTDA launching a dedicated summer campaign called ‘Feel Free this Summer’ in April to leverage the emirate as an ideal summer holiday destination on the global platform. 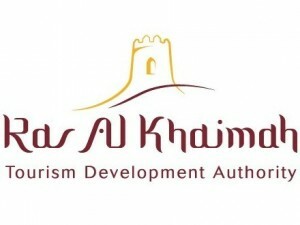 Ras Al Khaimah Tourism Development Authority (RAKTDA), which develops the emirate’s tourism infrastructure and initiates its domestic and overseas promotions, has expanded its presence in the Kingdom of Saudi Arabia with the opening of a new representation office in the country’s capital, Riyadh. Marking its sixth international representation office, the Riyadh opening will support the tourism body’s promotional activities and trade partnerships to penetrate the Kingdom’s high potential outbound market. A team of dedicated trade promotion, MICE and business development staff will manage various in-market promotions and initiatives to drive further awareness of Ras Al Khaimah as a multi-faceted business and leisure destination to Saudi travellers. The move comes as Saudi Arabia produces more hotel guests to the emirate than ever before. According to recent RAKTDA data, tourist arrivals from Saudi Arabia increased by 71.28 per cent year-to-date, with further growth expected during the course of 2017. Commenting on the new office opening, RAKTDA CEO Haitham Mattar said: “This market on our door-step is extremely important to us. The UAE has long been a favourite destination for Saudi tourists and our new our new representative office will further cement our promotional presence in the Kingdom. 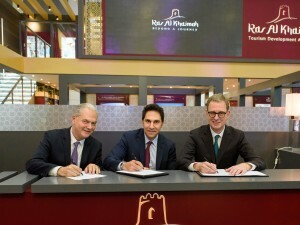 Through this representation we will build upon current travel trade partnerships, explore further opportunities and continually position Ras Al Khaimah as a year-round destination through targeted campaigns.” RAKTDA’s policy of positioning the emirate as more than a sun, sea and sand destination, driven by the implementation of the Destination Ras Al Khaimah 2019 strategy, has resulted in attracting 820,772 visitors in 2016, placing it in a strong position to achieve its target of one million visitors by the end of 2018. According to Haitham Mattar, CEO, RAKTDA, there was an increase of 231 per cent in visitor arrivals from Poland in comparison to 2015. The guest nights had also increased by 290 per cent from the previous year with an increased revenue of 273 per cent and an increase in the average length of stay by 17.64 per cent. In an effort to further strengthen the Polish relationship and increase the number of visitors to the emirate, Ras Al Khaimah Tourism Development Authority (RAKTDA), which develops the emirate’s tourism infrastructure and plans, initiates and drives its domestic and overseas promotions, welcomed H.E Robert Rostek, Ambassador of the Republic of Poland to Ras Al Khaimah. H.E Robert Rostek was greeted by RAKTDA CEO Haitham Mattar to discuss future projects and tourism initiatives that will help boost tourism to the emirate and support the tourism authority’s vision in attracting one million visitors by 2019. “Through its efforts to increase visitor numbers from both established source markets and emerging ones, RAKTDA is constantly looking at ways to create strategic initiatives, promotional activities and partnerships,” said Haitham Mattar, CEO of RAKTDA. Last year RAKTDA partnered with the pan-European tour operator TUI to bring two new charter flights – operated by Enter Air – from Poland to Ras Al Khaimah International Airport. The new service followed a new co-marketing agreement between RAKTDA and TUI, which was signed in August 2016. RAKTDA’s Vision 2019 includes a roadmap for innovative hospitality concepts which take advantage of the emirate’s unique natural assets, including pristine coastline, stunning mountain ranges, hot springs and expansive desert. Ras Al Khaimah Tourism Development Authority (RAKTDA) has ramped up its travel trade activities and consumer awareness campaigns in the Kingdom of Saudi Arabia in an effort to draw more visitors from the GCC market. Positioning itself as one of the fastest growing tourism destinations in the region, Ras Al Khaimah Tourism Development Authority hosted a travel trade roadshow in Saudi Arabia this week in partnership with Emirates Airline. More than 85 key stakeholders from the Saudi travel trade attended the roadshow which comprised awareness workshops for the travel trade in Jeddah and Riyadh on 9th and 10th October. During the first nine months of this year, RAKTDA reported an upturn of 18 per cent in the number of Saudi visitors staying in Ras Al Khaimah’s hotels, compared to the same period in 2015. Moreover, for the month of September, Saudi visitors to Ras Al Khaimah have increased by 39 per cent compared to September 2015. RAKTDA has launched its Vision 2019 tourism strategy with a target for 1 million visitors by the end of 2018. 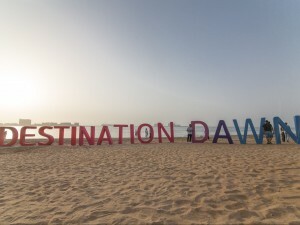 The strategy focuses on the emirate’s inimitable assets which include some of the finest beaches and nature in the region, the highest mountain in the UAE, a unique terracotta desert, 7,000 years of history and heritage, as well as authentic Arabian cultural experiences. The tourism body is planning an additional 20,000 hotel rooms by 2025, along with new tourist attractions, products and events to be developed across Ras Al Khaimah. Emirates Airline serves the Kingdom of Saudi Arabia with 70 flights a week offering seamless travel to Dubai from its four gateways: Riyadh, Jeddah, Dammam and Medinah Al Munawarah. Ras Al Khaimah Tourism Development Authority (RAKTDA), which develops the emirate’s tourism infrastructure and plans, initiates and drives its domestic and overseas promotions, welcomed two new charter flights from Poland to Ras Al Khaimah International Airport. Operated by Enter Air, the two new charter flights have been added by the pan-European tour operator TUI, following the new co-marketing agreement with Ras Al Khaimah TDA which was signed in August. According to CEO RAK Tourism Development Authority Haitham Mattar, the visitor numbers from Poland have increased by 157% to date.